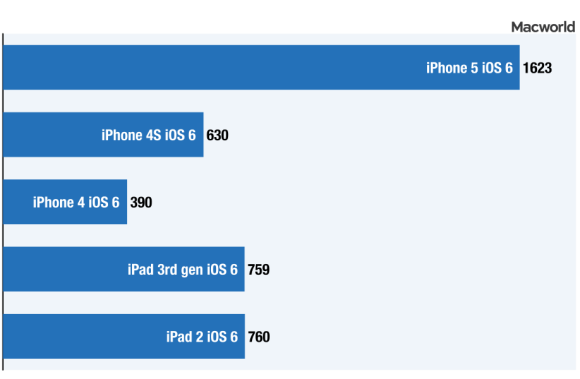 Powered by the new A6 processor, the iPhone 5’s performance is pretty darn impressive when compared to the iPhone 4S, iPhone 4, third-generation iPad, and the iPad 2. 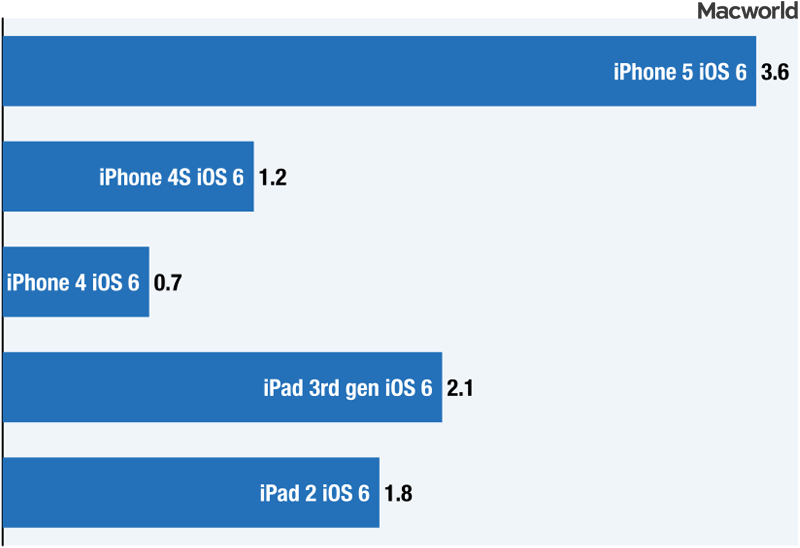 On Friday morning, Macworld Lab posted performance test results pitting iOS 6 against iOS 5. When we got our hands on an iPhone 5, we ran those same tests. Starting with GeekBench, the iPhone 5 earned a score of 1623, more than twice as fast as the third generation, A5X-powered iPad; 2.5 times higher than the iPhone 4S with its A5 processor; and more than four times as fast as the iPhone 4 with its A4 processor. 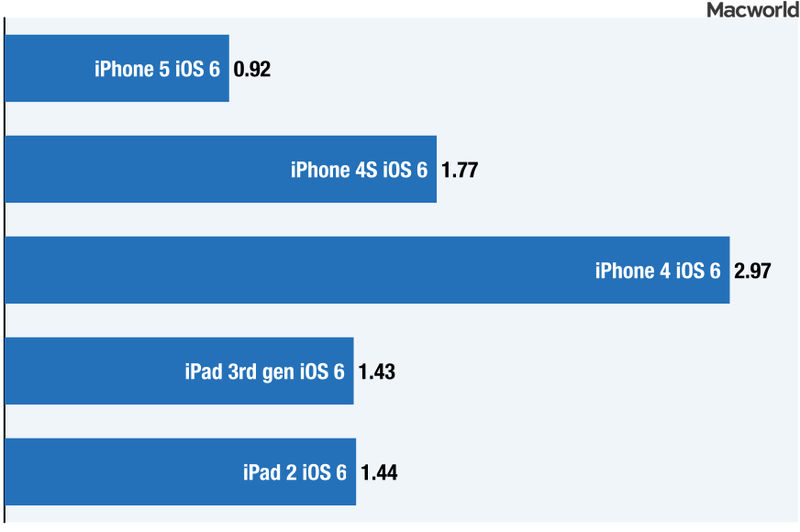 In our Wi-Fi Page Load test, the iPhone 5 was 21 percent faster than the third-generation iPad, 23 percent faster than the iPhone 4S, and 32 percent faster than the iPhone 4. 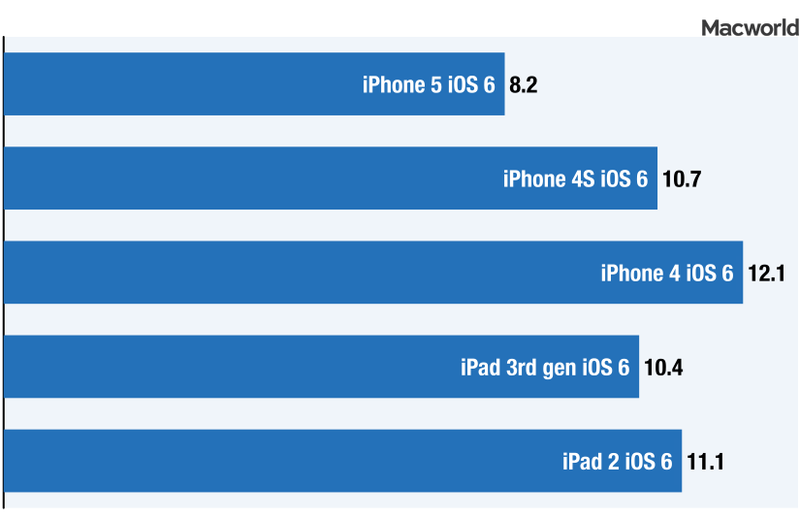 Graphics tests also showed much better performance, especially when compared to older iPhones. 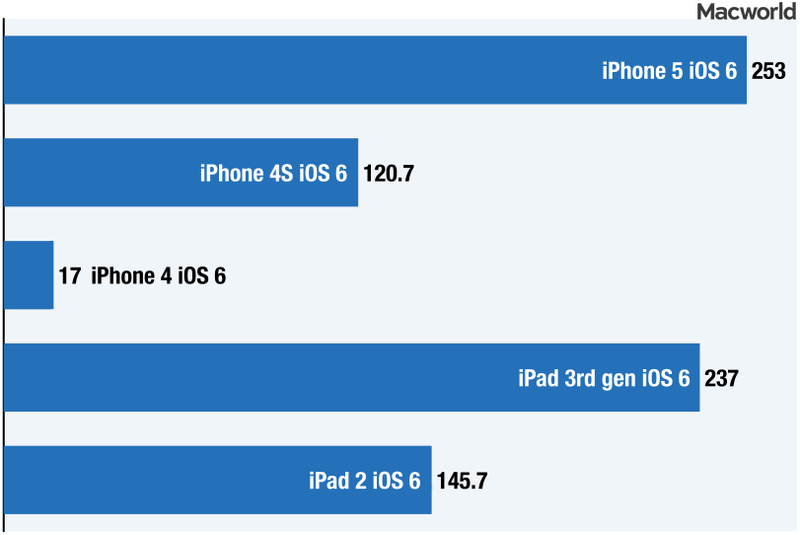 Using GLBenchmark, the iPhone 5, with frame rates of 147.3 on the Egypt Offscreen test and 253 frames per second on the Pro Offscreen tests, was a little more than twice as fast as the iPhone 4S. 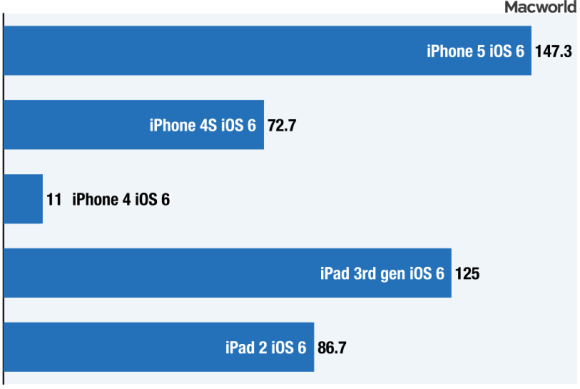 The iPhone 5 was 17 percent faster than the third-generation iPad on the Egypt test and 6 percent faster on the Pro Offscreen test. 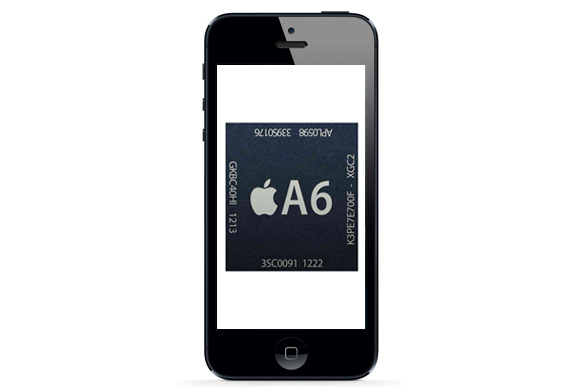 For comparison’s sake, the iPhone 4 only managed 11 frames per second on the Egypt test and 17 frames per second in the Pro test. 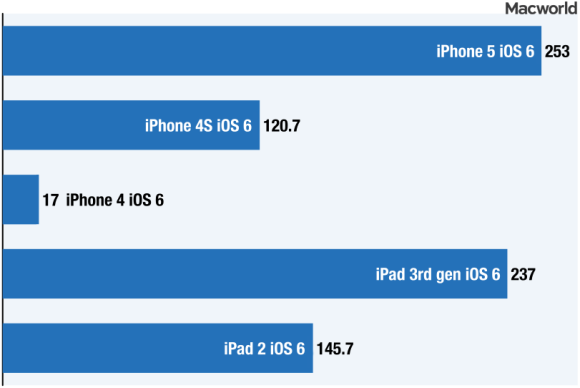 In the WebVizBench HTML 5 tests, the new iPhone was 68.5 percent faster than the third-generation iPad, three times faster than the iPhone 4S, and five times faster than the iPhone 4. Check back soon for Macworld’s full review of the iPhone 5, as well as battery, photo and video test results.